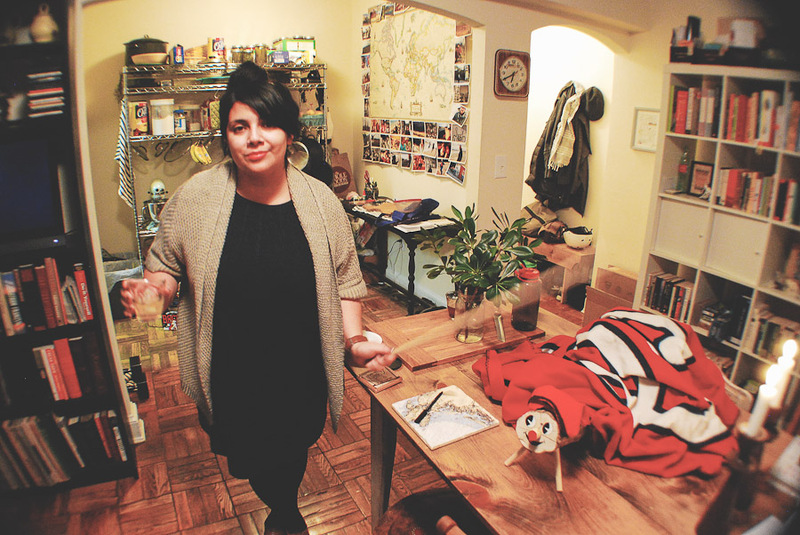 Since we’ve been together, the Mister and I have adopted our own little hodgepodge of holiday traditions. One of our favorites is Caga Tió. 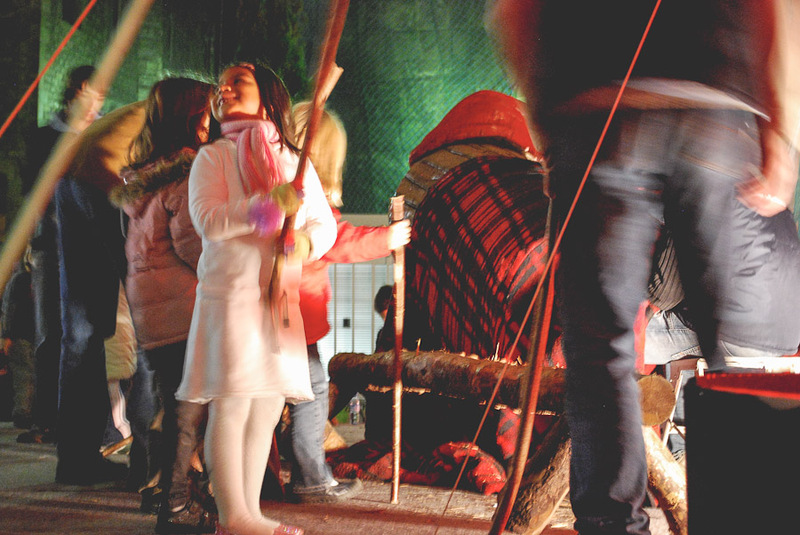 I first experienced Caga Tió, or Tió de Nadal, while spending part of the holidays in Barcelona. 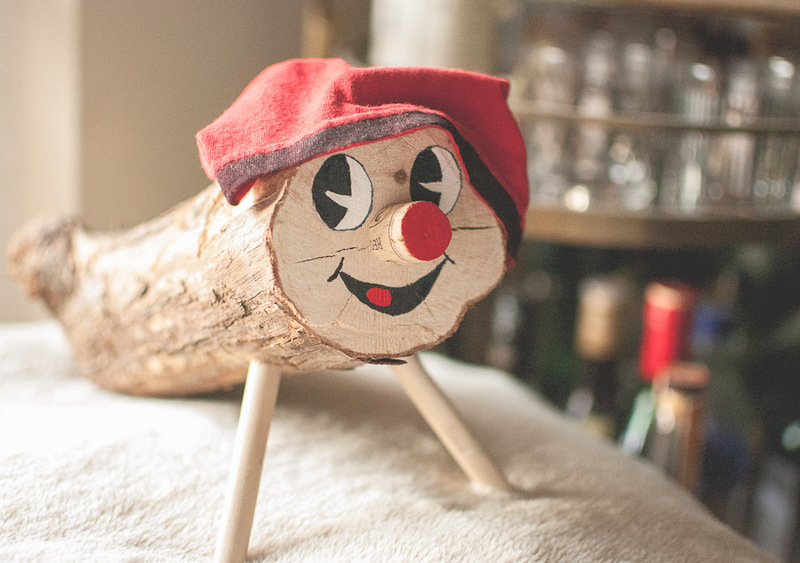 As I wandered the Christmas markets, I kept seeing these adorable wooden logs with smiling faces and red caps. This was Caga Tió, which in Catalan translates roughly to Poo Log. 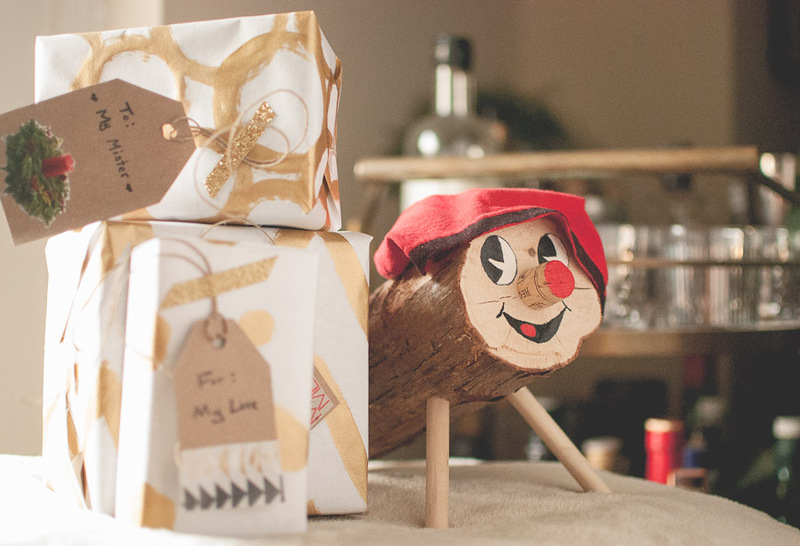 The tradition works like this: leading up to Christmas, children offer Caga Tió little gifts of food like nuts and candy, and cover him with a blanket so he doesn’t get too chilly; then on Christmas, they entice him to “poo” out presents by beating him with a stick and singing songs. The presents “appear” under Caga Tió’s blanket. 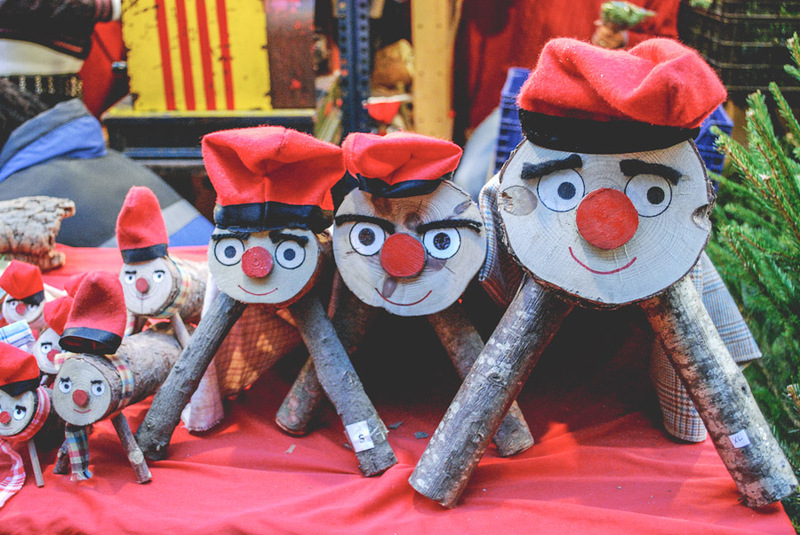 While in Barcelona, I saw children lined up in the market square to take a turn beating a giant Caga Tió with a stick, much like other children line up to visit Santa. I thought this was a pretty delightful tradition so I bought a small Caga Tió as a gift for my mother, who likes to fill her home with Christmas decorations. She loved it and every year our family dutifully feeds it treats during the holiday season. 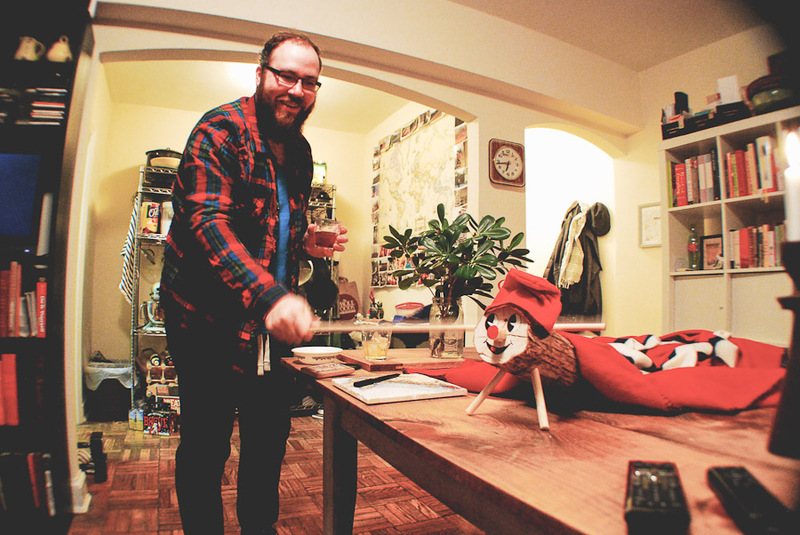 When I started to bring the Mister home for the holidays, he was equally enchanted with the idea of Caga Tió, so one Christmas a few years ago, he surprised me with a homemade Caga Tió. We adore him, and he takes the place of honor in our little apartment that would normally be reserved for a Christmas tree. 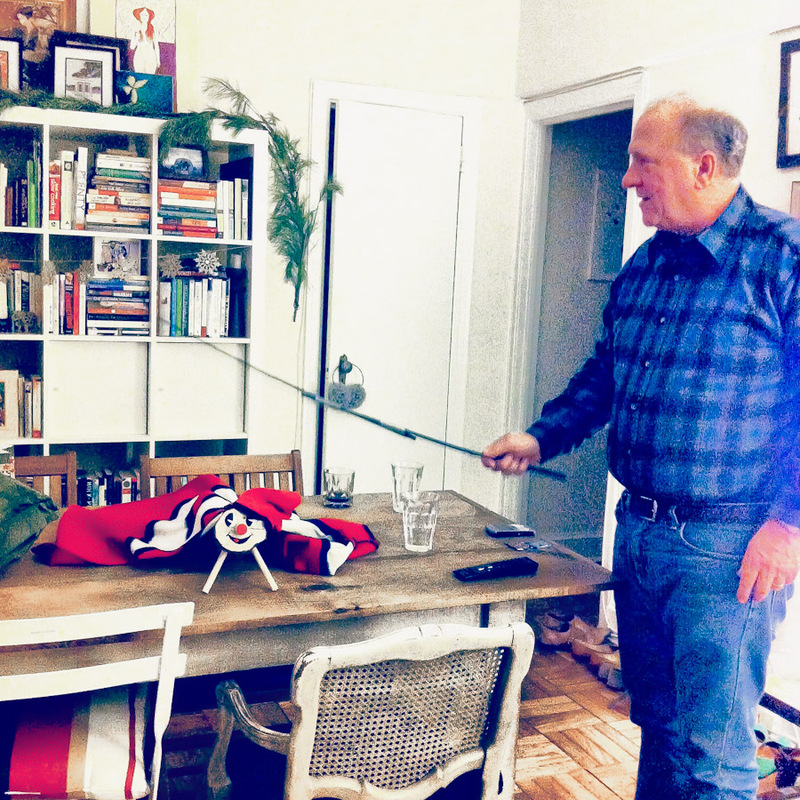 Every year we feed him treats, and every year we give him a good beating with a stick so that he will “poo” out our presents under his blanket. We’ve even gotten friends and family to participate, and it has become one of our fun traditions.